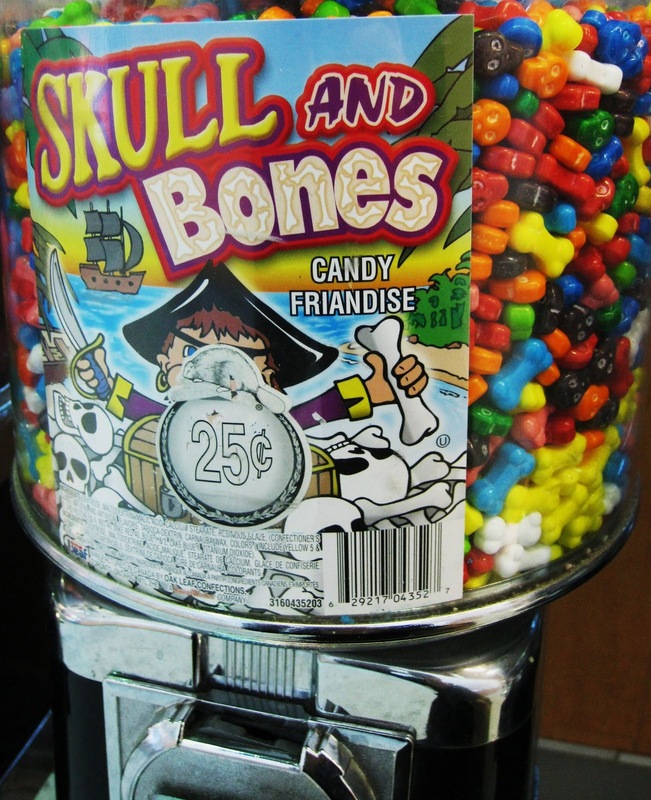 Those blue candy heads are poison. No one who works at this grocery store will listen to me. When I told them, they tried to kick me out. They're in it together, even that blonde girl with the ponytail who asked if I wanted a glass of water. I laughed in her face because she can't fool me. There's something in that water. They want to take me someplace and erase my memory. So no one will know their secret. I knocked the glass of water out of that girl's hand. Then they made me leave. Now I'm waiting outside the store. I pulled my wool hat down low, and started pacing so their security cameras can't get me. 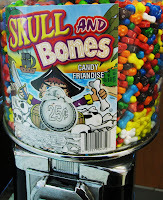 A little boy and his mom go to the candy machine. He's smiling and looking at the poisoned candy, so I start banging on the glass to warn them. His mom gives me a dirty look and that's when I realise she's in on it too. I watch the kid feed the machine a quarter. He gets a blue candy. I scream and bang on the glass some more. He puts the candy into his mouth. But he doesn't die. And that's when I know I've been wrong. It's the red candy heads that are poison.